It’s highly impressive that Jacksonville State has not lost to a conference opponent or against a non-FBS opponent during the regular season under third-year coach John Grass. But the Gamecocks, last year’s FCS national runners-up, can’t help but have the postseason in the back of their thoughts while they continue to dominate opponents. The Gamecocks (7-1) head into November on a strong note and with the No. 2 ranking in the STATS FCS Top 25. They only trail Sam Houston State, which held the top ranking for the third straight week on Monday. It’s a good sign for Jacksonville State when Grass says, “I don’t think we can play much better,” as he did after a 47-14 victory over Eastern Illinois this past Saturday. It came against the most recent Ohio Valley Conference program to beat the Gamecocks, something their seniors probably remembered from 2013 while they raised their conference win streak to an FCS-high 21 games. They have beaten 28 straight non-FBS teams in the regular season, losing only to Michigan State, Auburn and LSU. “Today was just a great team win,” Grass said after quarterback Eli Jenkins accounted for three touchdowns and running back Josh Clemons scored twice. Jacksonville State received 15 of the 142 first-place votes in the national media poll. Sam Houston State (8-0) collected the most with 102 after the nation’s highest-scoring team had its season-high point total in a 66-17 non-conference win over Texas Southern. Coach K.C. Keeler’s Bearkats are tied for first place in the Southland Conference. The top six teams remained unchanged in the poll – Eastern Washington (7-1) sitting third followed by North Dakota State (7-1), The Citadel (8-0) and Richmond (7-1). Eastern Washington beat Big Sky Conference rival Montana 35-16 and North Dakota State defeated Missouri Valley Football Conference rival Northern Iowa 24-20. The Citadel continued their best start in program history by topping East Tennessee State 45-10 in the Southern Conference. Richmond was idle this past weekend, but the Spiders were happy to rest up for Saturday’s showdown against the CAA Football rival sitting right behind them, No. 7 James Madison (7-1). The Dukes, who hold a slight lead in the conference’s crowded title race, routed Rhode Island 84-7 – the most points scored by an FCS team this season. Charleston Southern (5-2), Chattanooga (8-1) and Villanova (6-2) completed the Top 10. MEAC leader North Carolina A&T (7-1) moved up one spot to No. 11 followed by Western Illinois (6-2), South Dakota State (5-3), Cal Poly (6-2), Youngstown State (6-2), North Dakota (7-2), Central Arkansas (7-1), Coastal Carolina (6-2), Montana (5-3) and Samford (6-2). Rounding out the Top 25 were Grambling State (5-1); New Hampshire (6-3), which re-entered after a six-week absence; Harvard (6-1); newcomer Lehigh (7-2), the Patriot League leader; and Stony Brook (5-3). Eastern Illinois and Tennessee State fell from the Top 25, and a season-high 11 FCS conferences were represented in it, led by the CAA with five. 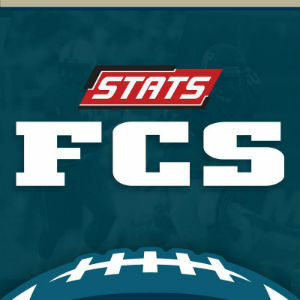 A national panel of sports information and media relations directors, broadcasters, writers and other dignitaries select the STATS FCS Top 25. In the voting, a first-place vote is worth 25 points, a second-place vote 24 points, all the way down to one point for a 25th-place vote. The Top 25 is released every Monday afternoon during the regular season, except for Sunday morning, Nov. 20, prior to the selection of the 24-team FCS playoff field. A final Top 25 will follow the FCS championship game, which will be held Jan. 7 in Frisco, Texas.